To avoid tearing, carefully remove roasted red peppers from jar. Drain well. Place peppers in a small bowl and cover with about half of the olive oil. Chop garlic and add to mixture, along with salt to taste. Gently mix so as not to break up the pepper pieces. Chop chives and cut 2 slices of feta for each serving. Drizzle a small amount of Basil Olive Oil on a small salad plate. 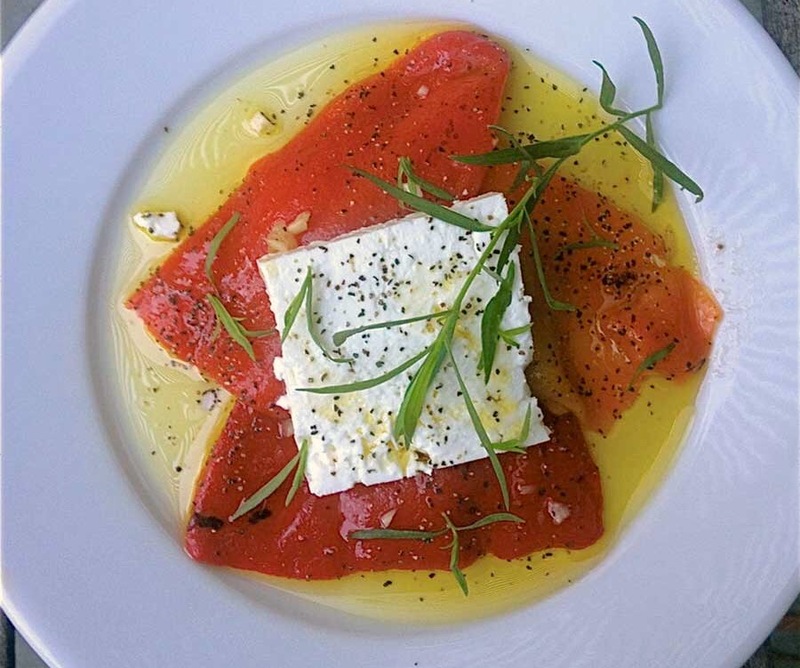 Place 2 slices of roasted red peppers over the olive oil, and top with 2 slices of feta cheese. Drizzle a little olive oil on top. Add salt and cracked pepper and drizzle with a little more olive oil. Sprinkle chives over top. Add a little more cracked pepper, as desired. This is easier to serve if prepared on small individual plates.